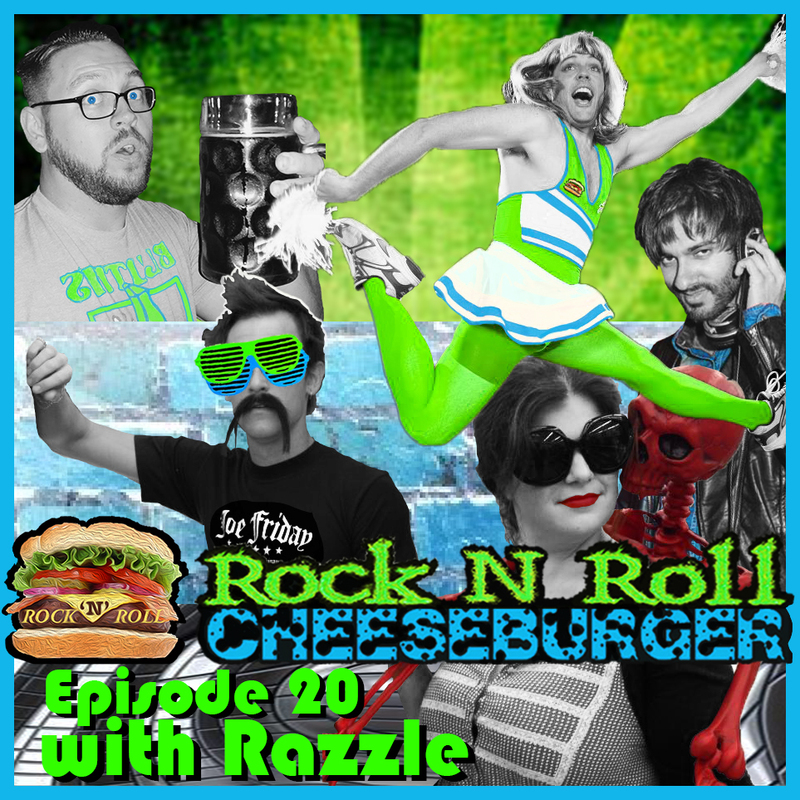 Razzle rocks the Burger Dome fast & furiously in our 20th episode. 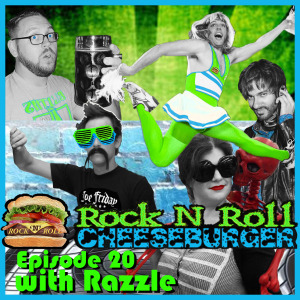 Rock N Roll Cheeseburger Episode 20! Razzle Dangerously waxes his fabulous mustache while returning guest host Celia Finkelstein laughs away from the microphone about it. We rally ’round the table with these pressing issues in society: Birthdays (on Facebook), Fast & Furious 7, Littering, and Dan plays a game with our website comment section. Our imaginary sponsor this week is the St. Capitalsburgh 27th annual “Chili Cook-off”. We travel to a classical sci-fi version of Earth’s moon to battle radioactive kittens in this week’s comedy sketch. And we rawk some killer roll this week with song slivers like “Lightsabre Cocksucking Blues” by Mclusky, and “Volcanoes” by Freeze The Atlantic.